It’s been (over) a month since the premiere of The Pilot, which I think is just enough time to go and see what we all thought of it. Why is waiting a month better than waiting the usual week? Is it because I hated it? Is it because I loved it? Is it because of laziness? Some of these questions are rhetorical. Some are not. Some answers will be in this article. Some are too obvious to be even acknowledged. Okay, honestly I’ve been both lazy and very busy, but none of that matters now because I’m here! Ladies and gentlemen, we’re back for this years Sonic Feedback! Without further adieu, let’s see what you thought of the Season 10 premiere episode, The Pilot! And look, we have charts now! Now, I’m not going to lie. I was a tad nervous going into this premiere. I felt the trailer for this season left a lot to be desired, and while I was happy with what I was learning about Bill through interviews, I thought parts of Friend from the Future were hit and miss. With that being said, I can gladly say I loved this episode. Everything from the story to the acting to the visuals clicked with me perfectly. It’s a testament to the strength of Pearl Mackie’s acting and the (sometimes) strength of Moffat’s writing that by the end of her first episode I already loved her. I don’t think I’ve liked a companion this much this quickly since Donna! But I’m getting ahead of myself. Let’s break things down. For an episode that spanned not just multiple places but multiple times, I feel that director of photography Ashley Rowe, and new director Lawrence Gough did a fantastic job. With special praise towards those surprisingly spooky shots of Heather glaring upwards from beneath the puddle. Proper unnerving stuff! 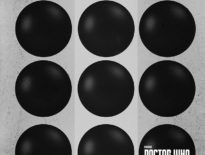 Murray Gold’s score is as good as ever, though I’m not a fan of the recent trend of variants of The Mad Man With a Box being the go to music for every major TARDIS interior reveal. 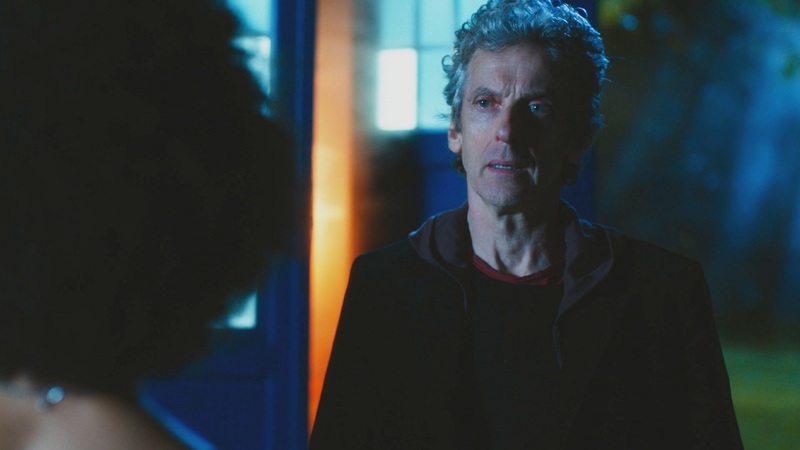 You might remember The Sad Man With A Box was used when Danny Pink first saw inside the TARDIS in 2014’s The Caretaker. While it’s one of my favourite pieces by Murray, and it fits the pure wonder of seeing the inside the TARDIS for the first time, I associate it strictly as a Matt Smith era song, and I feel like re-using it hinders giving each different era their own personal, distinct feel. It makes songs even more special when they show up in future Multi-Doctor specials. That being said, that subtle reprise of Clara’s theme was masterfully done. Well played! One of the things that made this episode that much more special was how accessible it was to new viewers. The only other “jump-on” episodes before this was 2010’s The Eleventh Hour and 2005’s Rose. And what makes this jumping on point so good is it’s similarities to Rose. Just like the Ninth Doctor in that episode, the Twelfth Doctor here has been doing his own thing offscreen for a nondescript amount of time, which means that regular viewers are as left in the dark as newcomers. 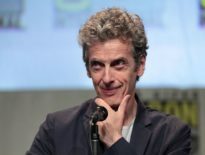 Using fresh-faced Bill to re-introduce, and to some people introduce, us to the Twelfth Doctor really levels the playing field for viewers in a show that can be at times quite intimidating to interact with. Making The Pilot a jumping on point also allows for some really fun introductions of recurring elements, such as one of my new favourite TARDIS reveals, as well as a great meeting with the Daleks that while short-lived, the “deadliest fire in the universe” line quickly and efficiently explains all you need to know about those peeved pepper pots. Nardole’s inclusion also works wonders as he basically serves the role of mediator between Bill/the audience and the Doctor. Top all this off with a simple (god I miss that word in Who) setup for the story arc with the mysterious contents of the vault (Se7en anyone?) and you’ve good one of my favourite episodes in a long time. Ratings for this premiere were decent, with an overnight rating of 4.64m. Instead of comparing these ratings to The Return of Doctor Mysterio (whose overnights were 5.68m), we’ll instead focus on the differences between this season premiere and the Series 9 premiere, as comparing ratings to a Christmas special yields expected results. The Pilot‘s overnights were .06m higher than The Magician’s Apprentice, and it’s overalls at 6.68m were .14m higher! It’s Appreciation Index score was 83, one point behind The Magician’s Apprentice‘s 84. So, enough yammering from me, let’s get some other opinions in! We asked you lot what you thought too, and you all had a lot to say! That’s it for today, folks! But I’ve got a lot of catch-up to do, so expect these a lot more frequently. Till the next time!